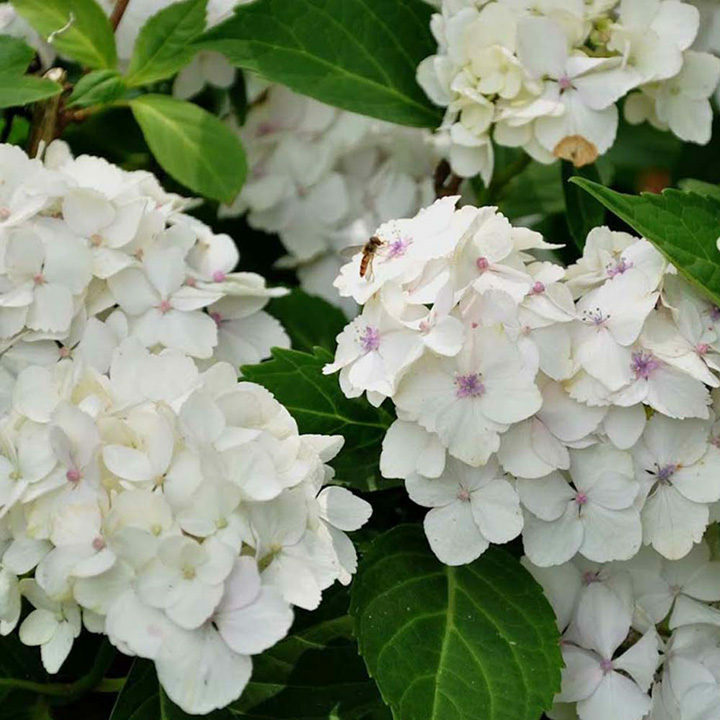 Hydrangea macrophylla 'Mme Emile Moulliere' is a deciduous shrub with dark green oval leaves and large round mophead-style white flowerheads in mid and late summer. The flowerheads sometimes take on a pink tinge if grown in full sun. It needs an acidic or neutral soil. A lovely plant for a mixed border. Height 150-200cm. Supplied in a 7.5-10 litre pot. Hydrangea macrophylla 'Mme Emile Moulliere' is a deciduous shrub with dark green oval leaves and large round mophead-style white flowerheads in mid and late summer. The flowerheads sometimes take on a pink tinge if grown in full sun. It needs an acidic or neutral soil. A lovely plant for a mixed border. Height 150-200cm. Supplied in a 3 litre pot or 7.5-10 litre pot.